A Beautiful And Extremely Artistic Large Antique Art Deco Chinese Rug, Country of Origin / Rug Type: China, Circa Date: 1920 – This stunning art deco rug features a beautiful garden and all of the creatures that reside within it. 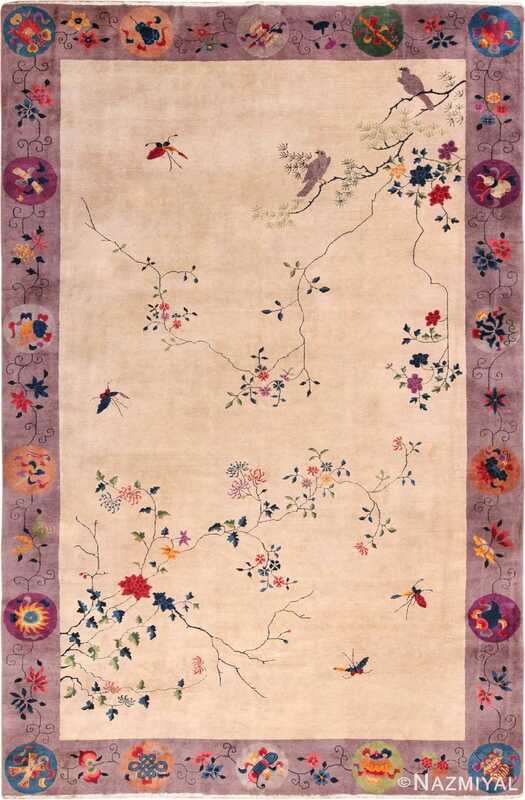 Graceful butterflies and beautiful birds flutter among the branches of stylized floral designs and meandering branches. 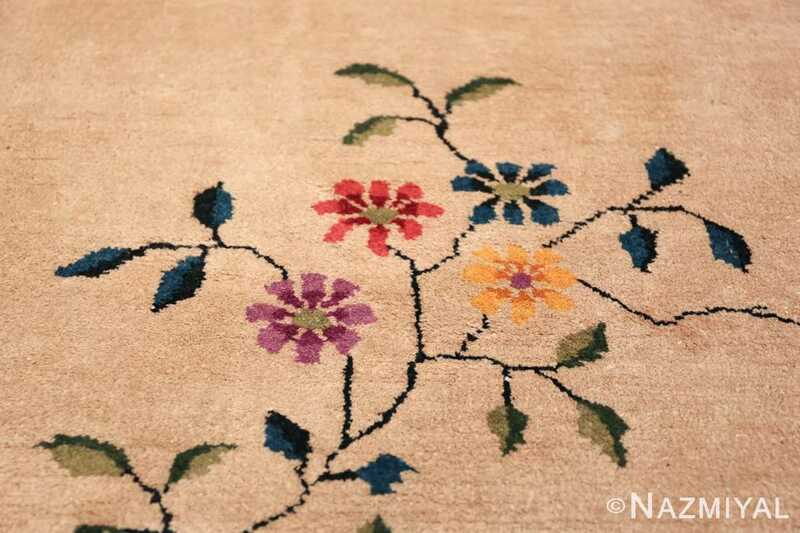 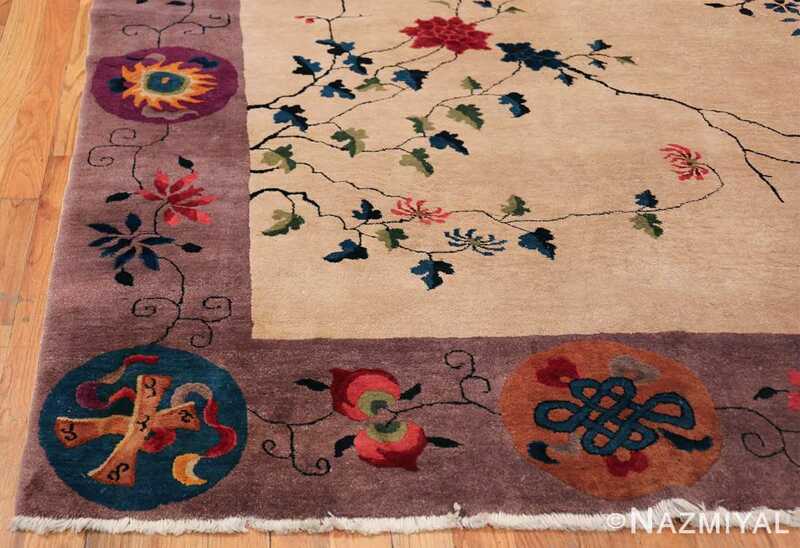 Every element of the antique Chinese art deco rug is designed to reflect a beautiful garden. 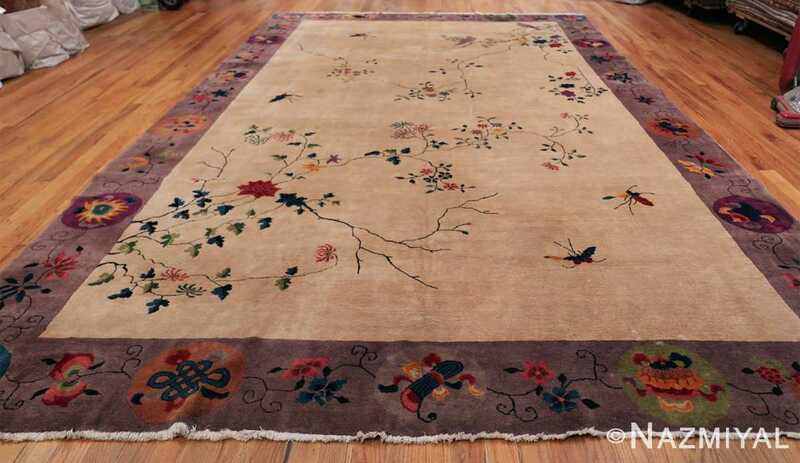 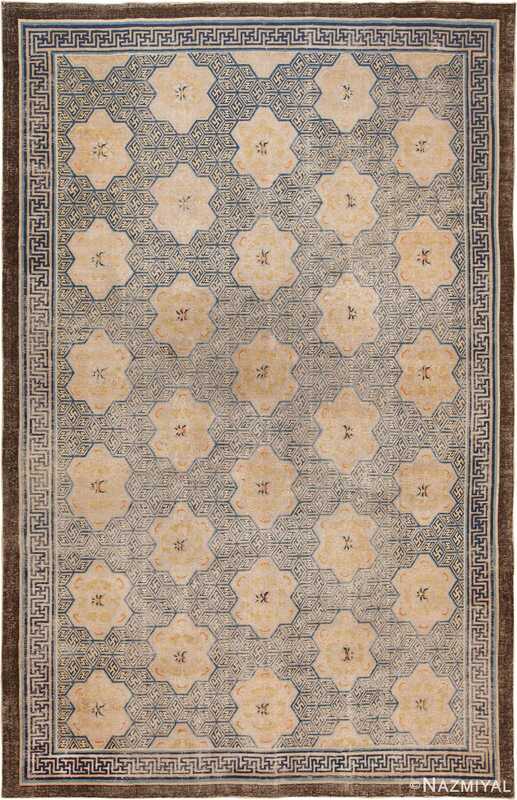 This artistic antique Chinese rug has a formal border that is graced by a meandering floral design. The border is symmetrical in its placement of roundels and interconnecting floral elements, but it is not symmetrical in the types of flowers and colors used. 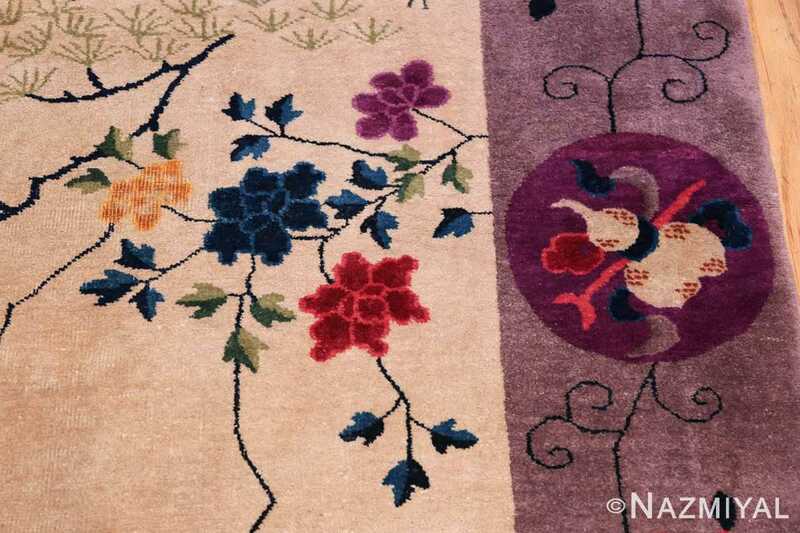 The use of white space is denser in the borders than in the main field. 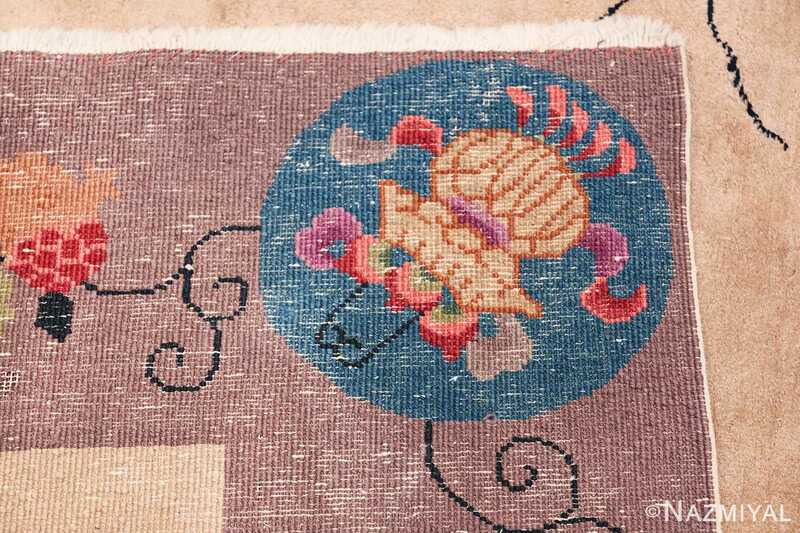 This serves to frame the main design and allow for ample use of white space in the interior of the antique art deco Chinese rug without becoming too visually cluttered for traditional Chinese art design. 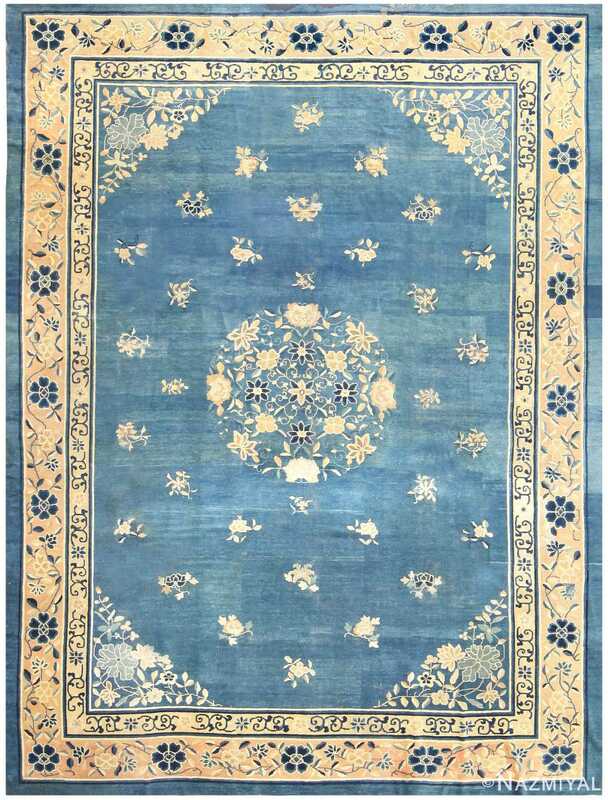 Oriental art is meant to reflect the natural world, creating balance out of seemingly random elements that we see in this large size rug. This was achieved in this beautiful rug from China by originating to designs from opposing corners of the space. The opposite corners are sparse, with the space only inhabited by the beautiful flying creatures. 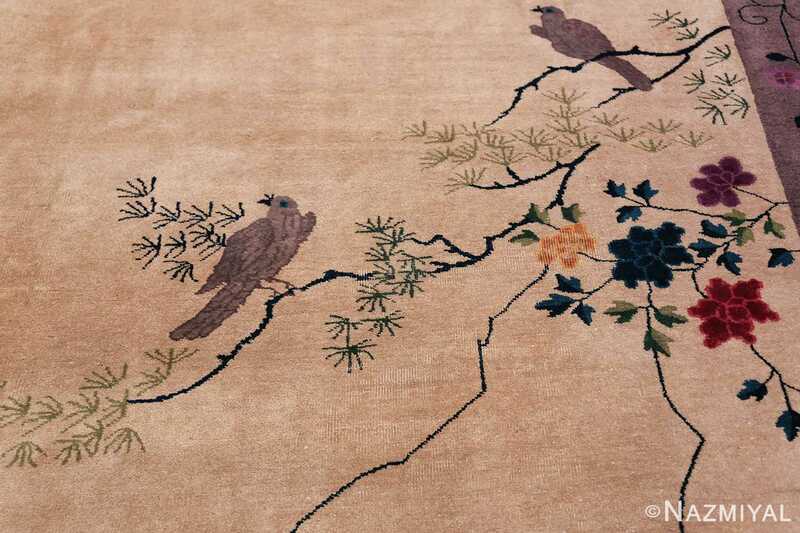 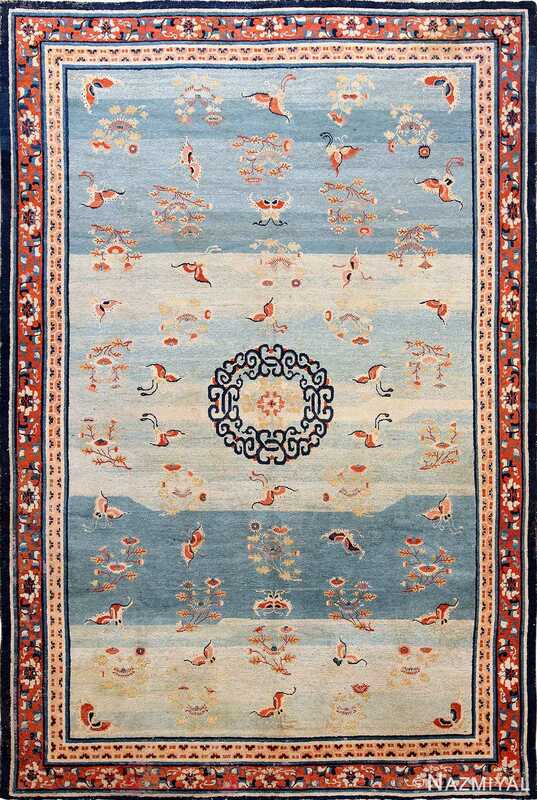 In this way, the antique art deco Chinese rug mimics the order and balance that is found in the natural world. 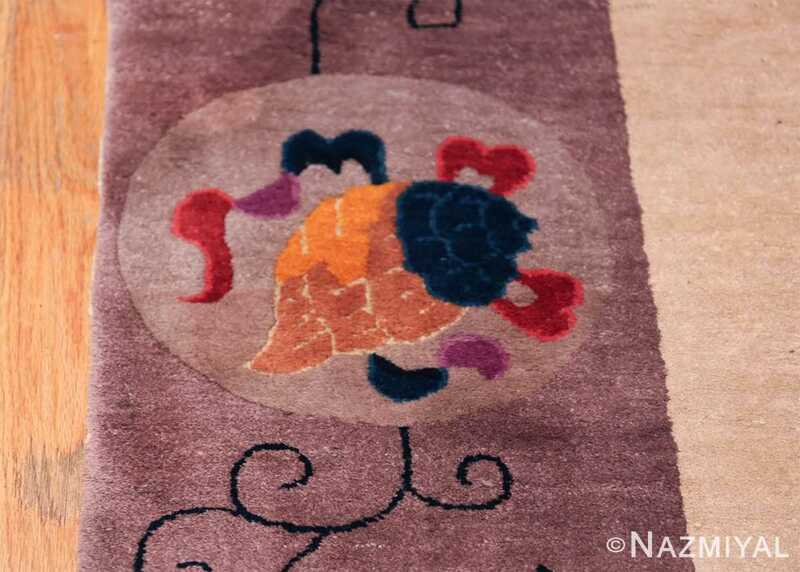 The elements of traditional Chinese aesthetics can easily be found throughout the Chinese Deco design of the rug. 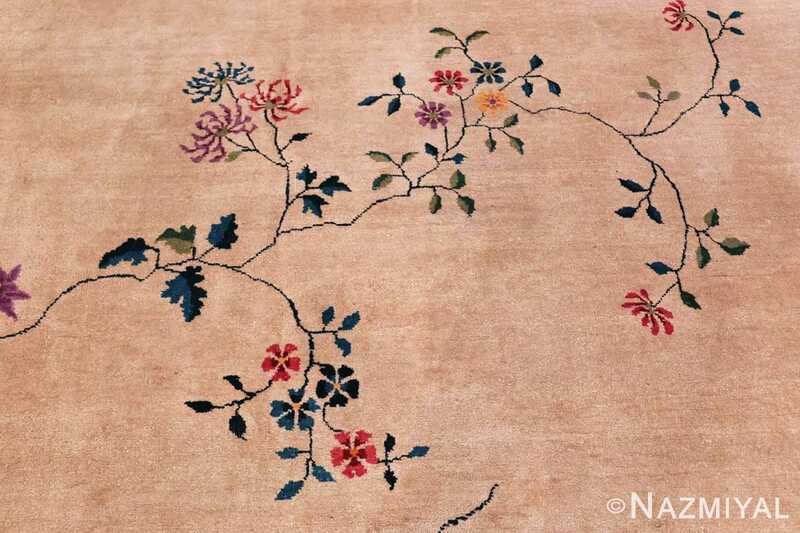 Its soft colors are delicate and would blend well in a room that features pastels and less saturated tones. 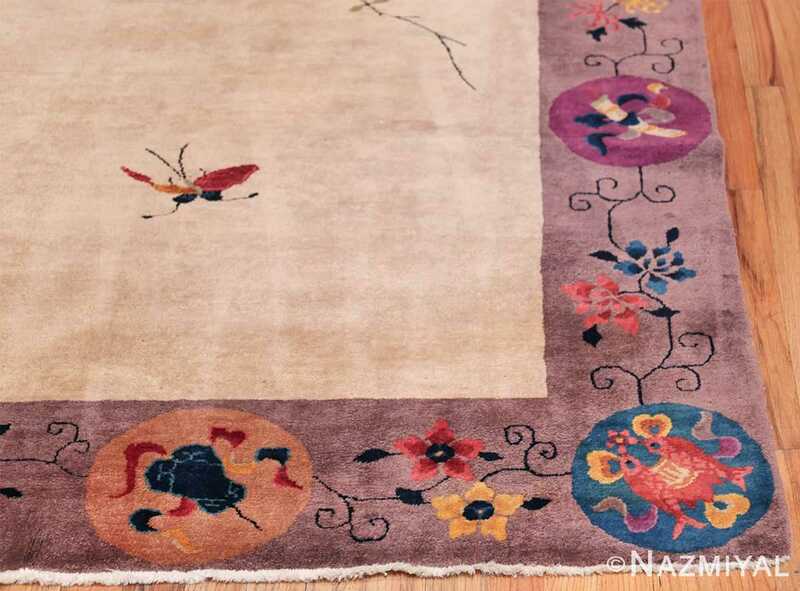 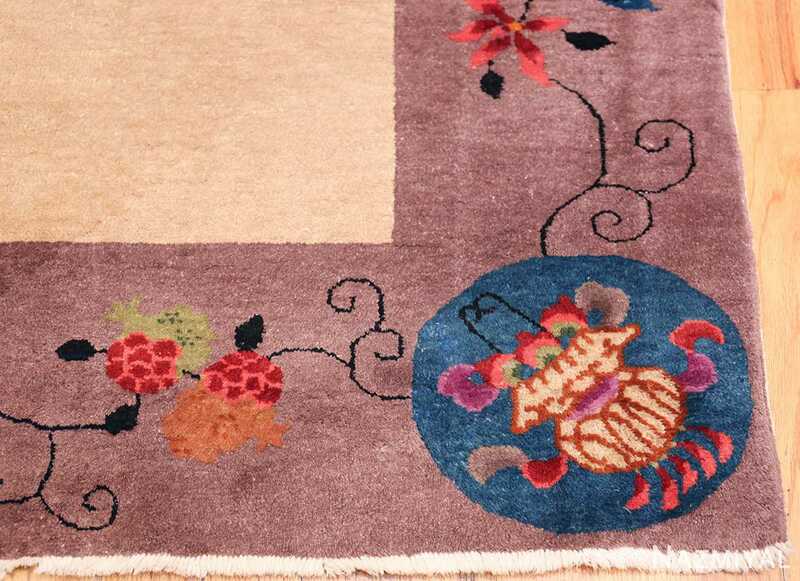 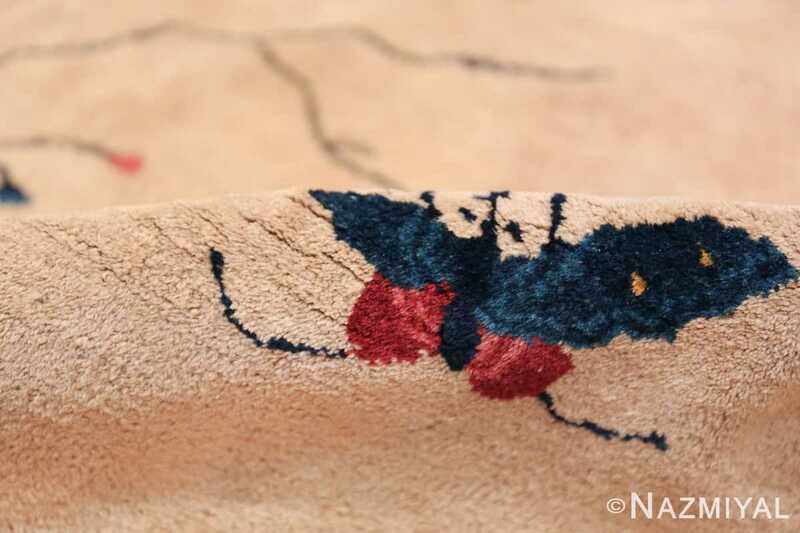 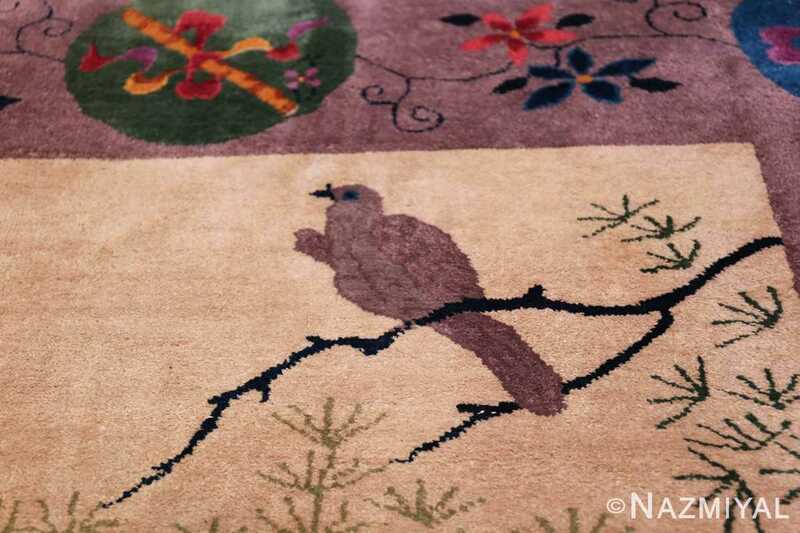 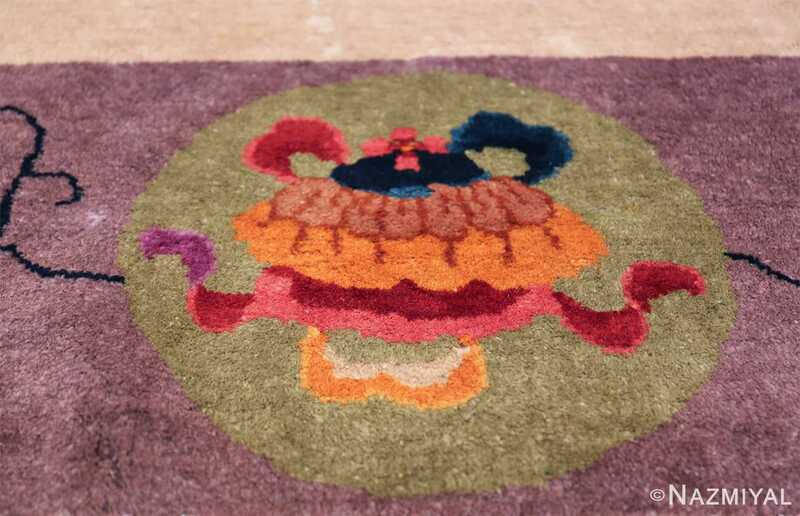 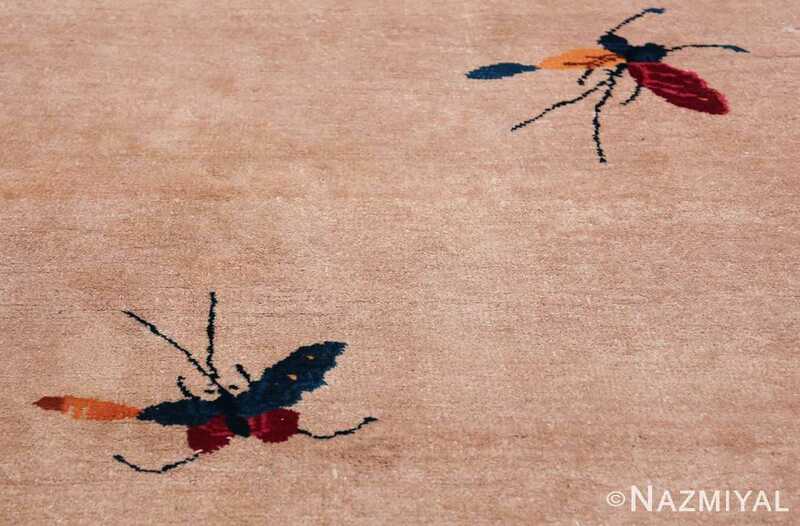 This garden antique rug, with its whimsical creatures, would give an elegant oriental and art deco touch to any room that features the natural world.